I have a bird feeder filled with sunflowers seeds that I leave up year-round. Birds are messy and often seeds are spilled to the ground or carried away and dropped. Every spring I find lots of little sunflower plants sprouting up in my yard and garden. Growing conditions must have been perfect this year because my garden is filled with sunflowers. Some I left right where they sprouted, others I moved to different locations, and still others I pulled out. They are all volunteers and they are all different. Some are short with a single, large flower, others have multiple smaller flowers, and still others are giant-sized, reaching high into the sky. The flower in the first photo popped up next to my mailbox and grew four feet tall. Others sprouted along the fence in a small group and made a pretty border. The one above is in my wildflower garden. It has many branches, is over eight feet tall and perhaps is still growing! 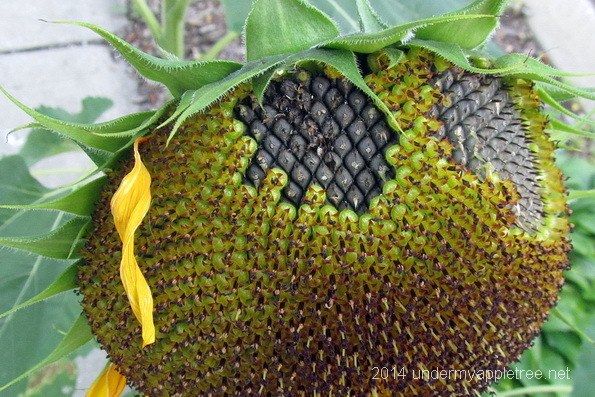 As the the sunflower seeds ripen, the yellow petals begin to fall off, the inner flowers shrivel, and the seed heads swell and turn downward. This flower is a black oil sunflower. I also have plants with the striped sunflower seeds, but I never know which they are until harvest. And speaking of harvesting the seeds, some birds can’t wait! Goldfinches will pick the seeds for me and feed themselves. I also plant coneflower and coreopsis for them, but they love the sunflower seeds the most. Their beaks are perfectly suited to opening the shells, but right now the shells are still soft and haven’t had a chance to dry out and harden. Goldfinches are vegetarians and only eat seeds. If they do eat an insect it’s probably by accident. Also, they do not build their nests until summer, when seeds are available to feed their young, while insect-eating birds start their nests in March or April, as soon as the bugs appear. 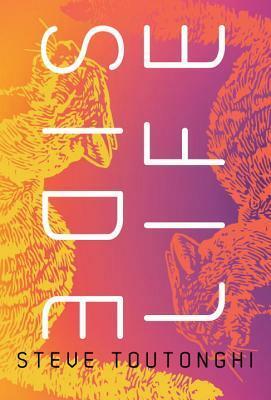 And because goldfinches are vegetarians, they are not a species subject to cowbird parasitism. A cowbird nestling needs a diet of insects and will not survive in a goldfinch nest where it will only be fed seeds. Love Sunflowers, but I feel so guilty attracting birds to my yard with a cat. He’s old now, but he darn near has a nervous breakdown when the birds come to the pond to bathe. Great photos and as usual wonderful info. Happy birding. 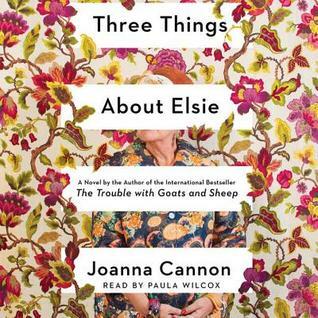 I used to weed them out – until a few years ago. During the drought of 2012 my newest wildflower garden was badly in need of plants. So I dug up the sturdiest looking sunflower seedlings and moved them there – and ended up with such pretty flowers that now I let some of them remain in the garden and along the borders. These photos are so gorgeous! 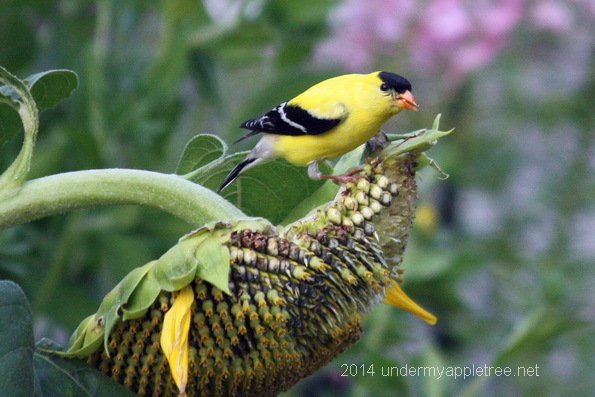 Your “volunteer” sunflowers are stunning, as is the hungry goldfinch. I have had some luck growing sunflowers in the past. What a delightful added benefit of having a bird feeder! My feeder is located in a shady area, and the scattered seeds haven’t ever sprouted. 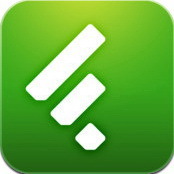 Maybe I need to move it to a sunnier locale. Awesome post! 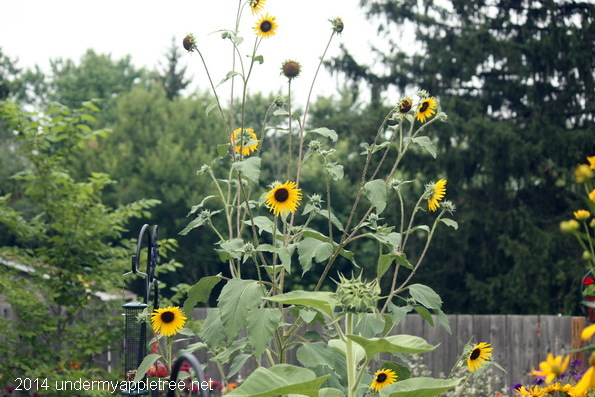 I love sunflowers…and any “accidental” planting that requires no effort on my part…LOL. I had a tree on my patio that sprang up serendipitously. I have an accidental tree too! In the third photo there is a small tree on the left that popped up on its own a few years ago. I had two beautiful, mature elms that got sick and had to be removed. The next year this tree popped up. It looks like an elm, and probably came from one of their seeds, so it stays. This is a wonderful post, Leslie! I have a few “volunteer” sunflowers, too. Your photos are great! Beautiful flowers, and it is lovely to see the goldfinch eating the seeds. What a great way to treat the birds! Oh I was going to post a Goldfinch munching on berries for Sat. Snapshot until I had my serendipitous encounter with the Pelican. 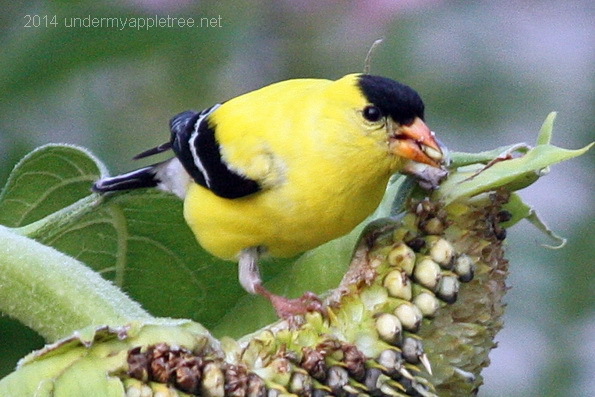 Yes, the Goldfinch was gratifying himself with ripened or not yet ripened berries/fruits in my woods. 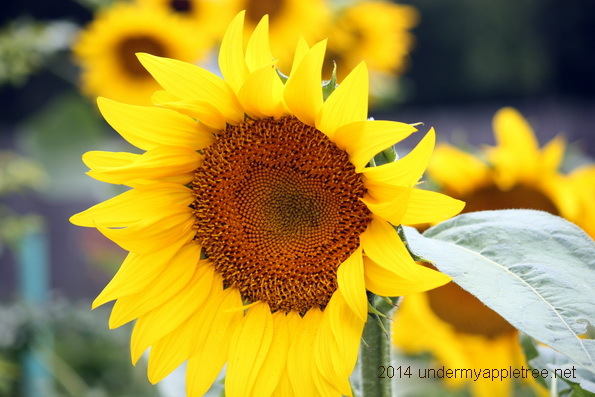 Your sunflower photos are beautiful. You have an excellent camera lens. Vey interesting info about gold finches – love the pics as well. What a fabulous post Leslie. 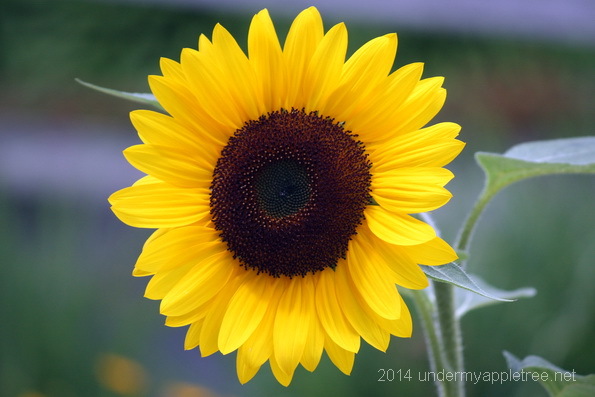 I love sunflowers too, how lovely to have so many growing, and nice to see the endless varieties. And you have fascinating bird info as always.